Kevin will be teaching about the step by step process required throughout the development financing stage of your feature film project to create your "Investor Kit". This includes all of the elements from business plans to budgets, proof of concept videos, retaining production counsel and a casting director. He’ll apply multiple strategies on talent outreach via agents and other means. 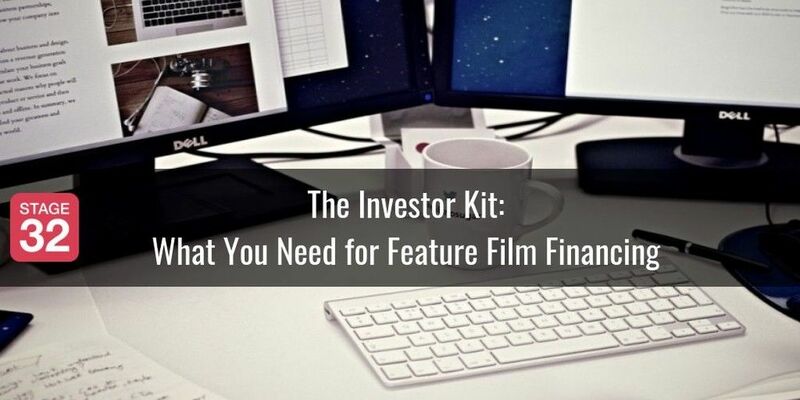 Without these elements in place, an investor can not seriously consider financing your film. Kevin has been working with both Legacy Pictures and Cobalt Capital Ventures as an Executive Producer structuring packages and financing agreements for a variety of different kinds of investment opportunities. 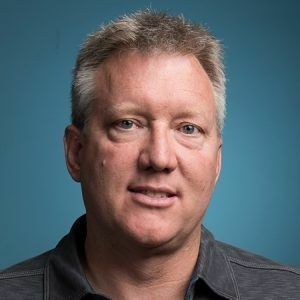 Kevin Christofferson is the Executive Producer for Legacy Pictures and the Principal Co-Founder of Cobalt Capital Ventures. He has been producing content internationally for two decades across four continents while living in five countries. His current initiatives include the sourcing, development, acquisition and distribution of TV series, feature films and new media technologies. At the same time, he’s been instrumental in coordinating co-production agreements and strategic partners within a business affairs capacity. Cobalt recently announced work on MONSTER BUTLER, a thriller based on the true story of the serial killer Archibald Hall, starring Malcolm McDowell and Gary Oldman. They are also working on DECEPTION ROAD alongside Wild Invention and starring Alice Eve and Finn Wittrock, as well as season 2 of "The Road to Dharma: Riders of the Himalays". Legacy Pictures is a production company whose team has worked on the French film A TRUE STORY, Xiao Yang's OLD BOYS, Relativity Media's BEYOND THE LIGHTS starring Gugu Mbatha-Raw and Minnie Driver, OUT OF THE FURNACE starring Christian Bale, Casey Affleck and Zoey Saldana, LAURA POINT starring Lucinda Rogers, and the Indian remake of CHEF with an original story by Jon Favreau. They are currently in development on SWISS MADE starring Noémie Schmidt, KURT. starring Matthew Lawrence, and noir caper GREEN OLDS. 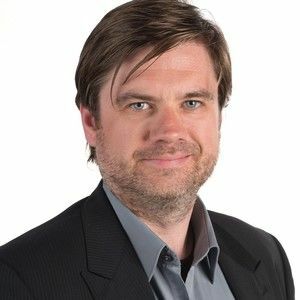 While based in Switzerland for seven years as Executive Producer of World Television, he managed large scale live event productions for Fortune 500 companies, United Nations agencies and NGO's. He headed up the Producers Unit at the World Economic Forum Davos conference where he produced up to seventy live webcasts as well as broadcast TV news packages over five days. Coinciding with producing, he headed up WTV’s business development division maintaining an annual growth structure. With the gap between independent films and studio films constantly growing, it has become quite a challenge for independent producers to finance their films. As a result, more and more producers are looking outside of their home territories for additional sources of finance. Europe, in particular, is very attractive for international producers: not only does it have diverse landscapes and excellent crews, but the different European countries offer fantastic funding and tax incentive schemes that can be accessed by foreign producers to finance their films. This Stage 32 Next Level Webinar will provide you with an understanding of how you can finance your film by partnering with a European producer and accessing European funding and tax incentive schemes. You will walk away with a better understanding of the European co-production landscape, the ability to evaluate the potential of your project for a co-production in Europe, the knowledge of how to set it up and find the right partners, and an understanding of how much you could potentially get. 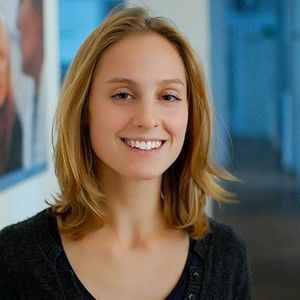 Anouk van Ghemen has been working in the field of film financing for almost 7 years. She consults a range of German and international clients, such as Sony Pictures Releasing, Wild Bunch Germany and Radical Media. 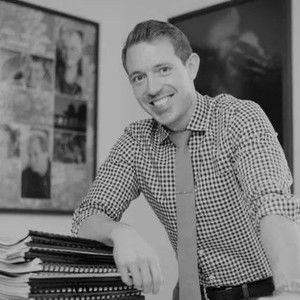 Learn directly from Jason Mirch, a 10-year film and TV producer and former Head of Feature and Television Development and Production at Image Nation Abu Dhabi (The Help, The Best Exotic Marigold Hotel, Contagion and 100 Foot Journey)! Raising financing for a feature film project can be one of the most daunting aspects of independent filmmaking. Many independent writers, directors, and producers simply do not know where to begin when seeking funding for their projects. With studios producing and releasing fewer films every year, independent filmmakers must rely on non-traditional financing models to fund projects. Where can you find the funds to get your project made? How can you best mitigate downside risk while maximizing upside potential? What options are available in terms of equity, soft money and pre-sales to get you to your financing goal? In this On-Demand Stage 32 Next Level Webinar, Jason Mirch navigates you through the Risk Mitigation Model of independent film financing, which utilizes foreign pre-sales, soft money, and equity to finance feature film projects. Drawing from his 10 years of experience financing both independent and studio films, Jason teaches you some traditional and non-traditional financing models so you can choose the right model for your specific project and gives you strategies to put these models into action. He then covers what international sales companies look for when evaluating potential projects and gives advice on how to position your projects when pitching to these companies. You will leave this on-demand webinar with a comprehensive understanding of not only the world of independent film financing, but how to get your project funded and breaking even before its release! The Future of Entertainment Careers: Where Do You Fit In? Producer Chris Moore has done it all. From producing 2 Oscar-winning films Good Will Hunting and Manchester by the Sea, to producing some of the biggest franchises of our time like American Pie - he's seen it all. What's even more impressive is that Chris is committed to creative careers and the journey it takes to sustain one. Chris was the co-founder of Project Greenlight with Matt Damon, Ben Affleck and Sean Bailey and The Chair - and continues to help inspire those who chose a life in entertainment. With the evolution of the industry causing dramatic shifts in the way you create and consume content (film, television, digital) more and more opportunities are being presented for a creative career. In this Stage 32 webinar Chris is going to discuss what the shift entails and how you make an educated decision on which path you should take with your career in “the industry” to satisfy the lifestyle you want. 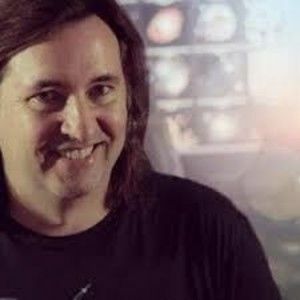 Producer Chris Moore will be hosting an interactive webinar where he’ll be discussing the future of the industry and will workshop with a select group of students from the class. He’ll talk about your intended primary path and discuss possible alternative paths if you can’t find the right fit with your primary goals. For example, if you are setting out to be a director and you’re having trouble gaining traction, Chris will go over alternative ways you can break in and gain your footing. Or, if you’re a screenwriter and have been at it a long time and haven’t gotten your break, what are alternatives for your lifestyle in this industry? Or, if you're a cinematographer looking to move from digital shorts to streaming TV, what can you do? All creative professions are welcome to attend! We are well into the digital revolution in filmmaking. The least known and least understood aspect, but arguably the most important, of the digital revolution is the digital master of your film via a Digital Cinema Package. More than cameras or editing or access to great equipment, the one factor that allows the indie filmmaker to truly be on a level playing field is the ability to screen your film at festivals and any theater in the world via DCP. In this Stage 32 Next Level Webinar, experienced filmmaker, Stephen van Vuuren, will teach you all secrets, tips, and best practices that everyone involved in film productions must know to end up with a quality digital master of your film. The information in this webinar is not available all together in one place anywhere on the internet until now! Many film festivals, large and small, now require DCP screeners and nearly all theaters in the world require your film on DCP. A DCP is the single most important master of your film that you will ever make. However, many indie filmmakers have limited experience and understanding of how they must plan from the very beginning stages of a film to insure their film – short, feature, documentary – is ready for DCP. You only have one chance with your audiences to make a great impression – and today that chance depends on your DCP. 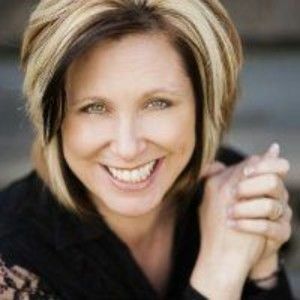 Part 1 - Budgets & Cash Flows Maura teaches you how to create a realistic plan for your film and make sure there is always money in the bank for what you need. You'll learn how to figure how much money you really need, and how to put together a proper film budget. Part 2 - Cost Reports, Film Infrastructure, & Tax Incentives Maura discusses setting up a film's infrastructure (from setting up an LLC to finding a lawyer) and various accounting options. She details cost reports, and how to analyze what you've spent and what you need to spend. Lastly, she discusses tax incentives before hosting a Q&A session. Purchasing gives you access to the previously-recorded live class. Although Maura is no longer reviewing the assignments, we still encourage all filmmakers to participate. If you’re tired of your soul-sucking job or you have your own entrepreneurial venture but need to make more money now (because you’re tired of stealing your neighbors car and living off of Ramen Noodles), this webinar was built for you. During this jam-packed 90 minute teaching, you’ll learn how to find paid speaking, teaching, and writing opportunities that you didn’t even know existed. The best part is, you can start finding them right away and making more bankroll almost immediately. These opportunities not only bring in more money for you, they allow you to live your life on your terms and your timeline so that you can focus on building your career as a writer, actor, director, producer, fill in the creative blank. The fun doesn’t end there. If you sell a product or service, but find people are constantly trying to undercut you or get you to do it for mere pennies, we’re going to talk about what you can say and do to turn that around. You’re done giving yourself away. You deserve to be paid what you’re worth. Aside from my time on the streets of Syracuse chasing criminals and crooked politicians (as a reporter, people, mind out of the gutter), I’ve had the pleasure of speaking on stages, hosting masterminds and workshops, and putting up live events for the past fifteen years. As a writer, I ghostwrite blog posts, books, and other content marketing pieces for other Creatives. In this webinar, you’ll learn how to find these kinds of opportunities, too. The best part? You don’t need prior writing experience. I’ve discovered that these multiple streams of income are the answer to creating a lifestyle that affords me the time and space I need to write my own scripts and take off for auditions or roles I’ve been cast in. If you’re tired of the crap job, you want to watch this. If you’re struggling to get your own small business off the ground, you want to watch this. But most of all, if you want to learn what it takes to create multiple steams of income that give you the time, money, and space you need to stay true to your talents, you really, really want to watch this.